← (#173) Sailing or Anchoring? It sounds so simple. It rings so true. And, it makes sense. Years ago I read words attributed to Chief Seattle that stated we are the web of life; whatever we do to the web we do to ourselves. 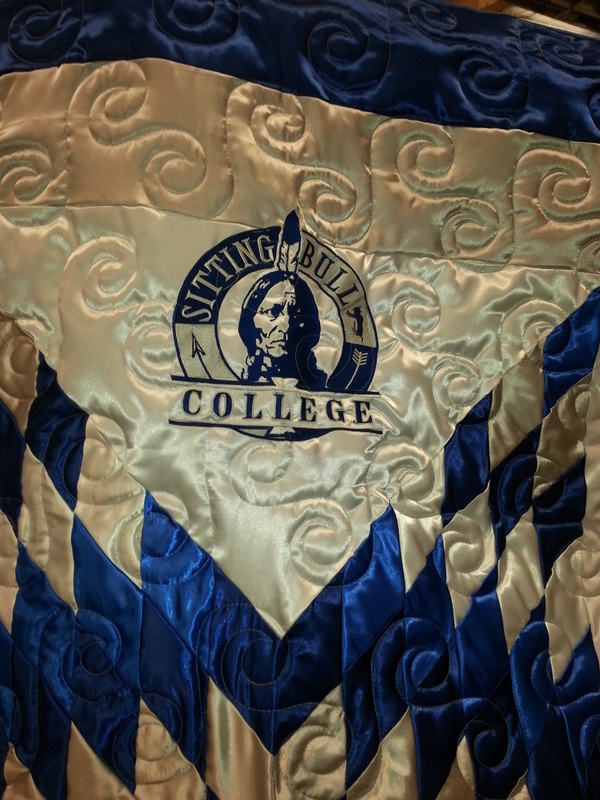 On my visit to Sitting Bull College this week I was struck by the references (again and again) to our connections with the universe. We have more in common than we care to acknowledge. 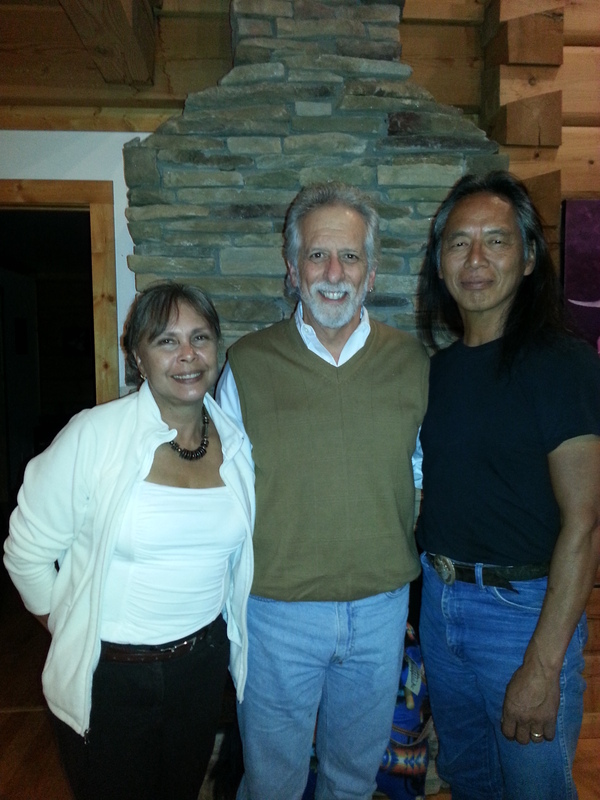 One evening during my visit to Ft. Yates (North Dakota), I had the honor of having dinner with one of Sitting Bull’s great-great-great grandsons, Ron His Horse is Thunder. Ron and his wife live in a wonderfully comfortable prairie house on the Missouri River. Horses, cows, deer and pheasant surround them. So do snakes on occasion. Ron shared the following story. He found a rather large rattle snake in his driveway. Rather than kill it, he picked it up (with a pitch fork) and toted it a distance from the house. He placed it on the ground and then spoke to the snake. He simply told him that he was free to go—and not return. Ron recognized the snake’s existence; he wished the snake to do the same. He then sprinkled tobacco around the edges of his property. Four years later, no rattle snakes have returned. Respect. The next day I had the opportunity to spend some time with Reuben Fast Horse. In the following video clip, he convincingly reminds us that we share so many things in our lives. I recently read about the Japanese concept of genba. It means that to understand something—to have an impact on something—we have go to the real place where the work is done. For me, the visit to Standing Rock Reservation was like that. It reminds me that we are all truly part of the web of life–and we still have a lot of work to do to respect that web. Thank you for taking the time to read my blog post. Please share it (and any of the archived posts on this site) with friends and colleagues. You also can follow me on Twitter, LinkedIn, and Facebook. If you get a chance, visit my Facebook page and join in–or start–a conversation (www.facebook.com/stevepiscitelli). If you have suggestions for future posts, leave a comment. Make it a wonderful week! Check out my upcoming webinars for October. Click here to register now for the webinar. Or go to my website for registration information. My October titles: (1) Student Motivation: Practical Strategies that Will Increase Engagement, Learning and Retention; and (2) Priority Management: An Action Plan for Managing Work and Life (complementary webinar). Both of these webinars are part of the Innovative Educators’ webinar series. (c) 2013. Steve Piscitelli. All rights reserved. This entry was posted in collaboration, Community, Impact, influence, Integrity, Life lessons, lifelong learning, Mindfulness and tagged dakota, diversity, humanity, integrity, lakota, native american, respect, sitting bull college, standing rock reservation. Bookmark the permalink. Thank you for sharing! I’ve been to Standing Rock with a group of teens on a summer mission trip. A special time and place. The message so true with our inter-connectedness. An exceptional experience to be involved with SBC on the SRR. Wonderful! Fascinating and educational! Thank you.